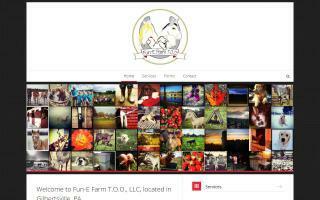 Kentucky Mountain Saddle Horse Farms Directory - O Horse! Breeds and sells Kentucky Mountain Saddle Horses, trains and conditions horses, starts colts, and provides Tennessee Walking Horse stud services. Located near historic Renfro Valley, Kentucky. Located in Monroe, North Carolina, approximately 45 minutes from Charlotte, we specialize in offering fine Rocky Mountain Horses and matching the ideal horse to the wants and needs of each individual buyer or rider. 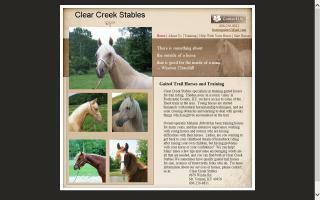 All of our horses are bred for conformation, athletic ability, and temperament, along with a smooth four beat gait. When most people think of gaited horses, they think of hot horses with exaggerated gaits that take a lot of energy and concentration to ride. Or, they think of a horse that needs big bits and extensive training to make them gait. At Rockin' Double J Farm, we are not interested in breeding that type of horse. Instead, we are dedicated to producing horses that are born with a natural, smooth four beat traveling gait, along with a calm, people loving personality. Our horses are bred so that when you hit the trail, you can sit back, relax, and enjoy the beauty of the world around you. Each and every horse horse offered for sale is personally selected by owners, Judy and Jim Mezzanotte based on temperament, composure, and smoothness. Honesty, quality, and paramount customer service are the foundation and substance of our reputation. We care about you and our horse's future. Our Rocky Mountain Horses only leave us to become family members. Due to the relatively small size of our farm, we are able to maintain daily contact with our horses. They are led to and from the pastures each day. Their grooming is started at an early age, as well as farrier and veterinary care. For these reasons, once it is time to put them under saddle, the trust and confidence they possess make it a very easy transition for them. Week long summer horse riding camps; beginner to advanced. Ride our horses or yours. Swimming, hiking, archery, volleyball, horse show & more! Rocky Mountain Horses & Kentucky Mountain Saddle Horses in the Netherlands/Holland. We have 2 certified mares and one certified stallion (RMHA & KMSHA). 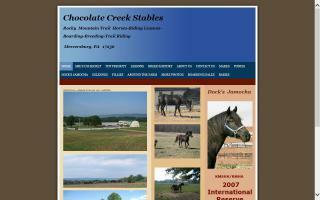 Full service gaited Mountain Horse facility in eastern Kentucky focusing on natural training for show or trail. MPH, RM, and KMSH horses for sale or breeding.